MINIMUM STAY DURING WORLD CUP SEASON IS 7 NIGHTS This apartment, located in the heart of Moscow near the subway station Smolenskaya, in the immediate vicinity of the Temple of the Savior and Arbat, is simply ideal for families or small companies because there could settle up to three people. The spacious room in bright colors is furnished with stylish and beautiful furniture. It attracts with an atmosphere of harmony and comfort. 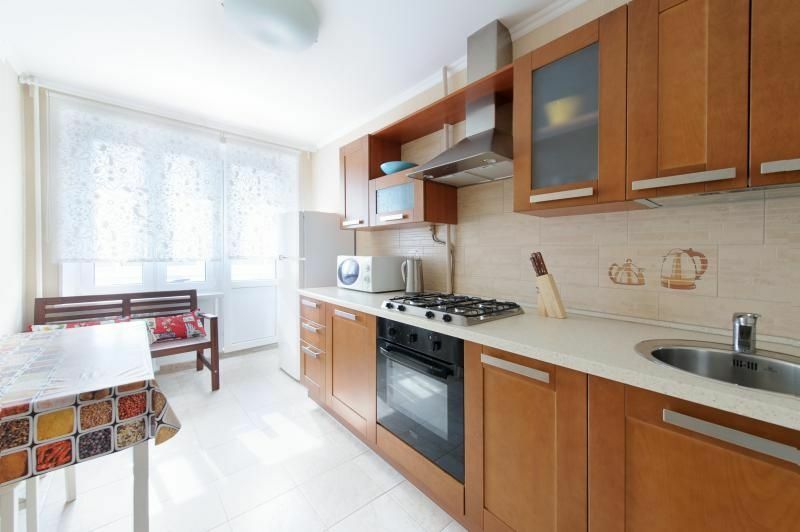 The kitchen, staffed with modern equipment and necessary household stuff, looks very homely. A dinner cooked here, just like at home, can become an occasion for a long conversation in your circle of nearest and dearest. 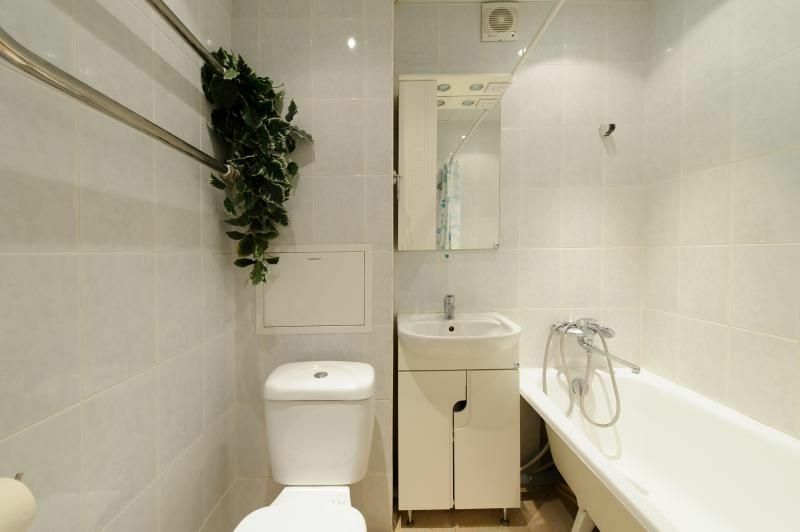 For a connection with the rest of the world you are granted with phone and Internet access.Staying in this apartment, you can be sure that your appearance does not give up the best metropolitan standards because in the bathroom you will find a hair dryer and a washing machine. Sleeping spots:The apartment is designed for 1-2 persons with separate sleeping accommodation or for 1-3 persons on double sleeping spots . 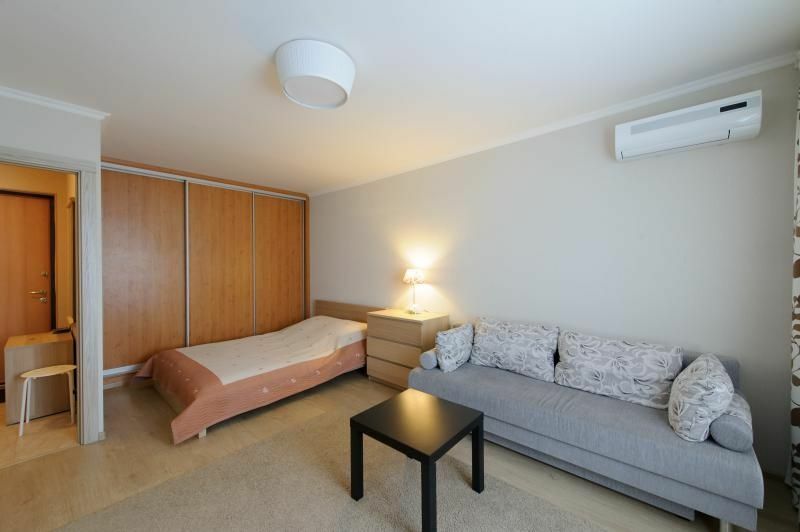 The apartment has a folding sofa and folding armchair bed. 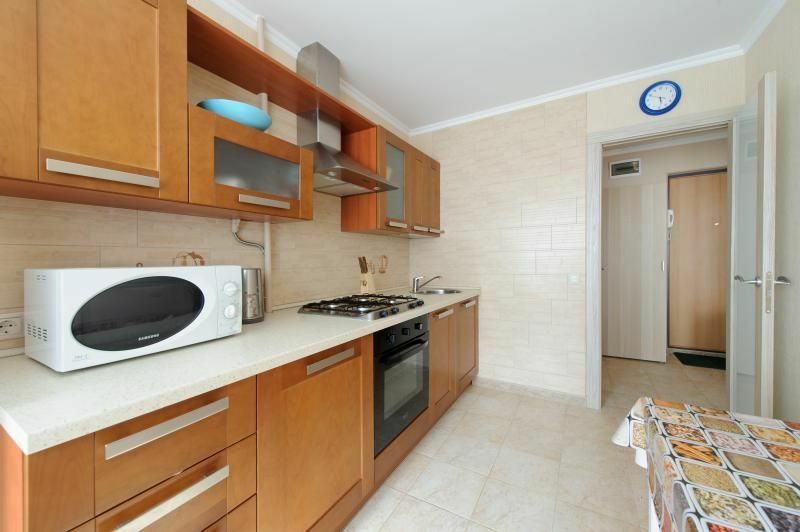 Appliances:TV set, refrigerator, telephone, microwave oven, electric kettle, iron, washing machine, DVD-player,unlimited wifi internet connection. Comfort. 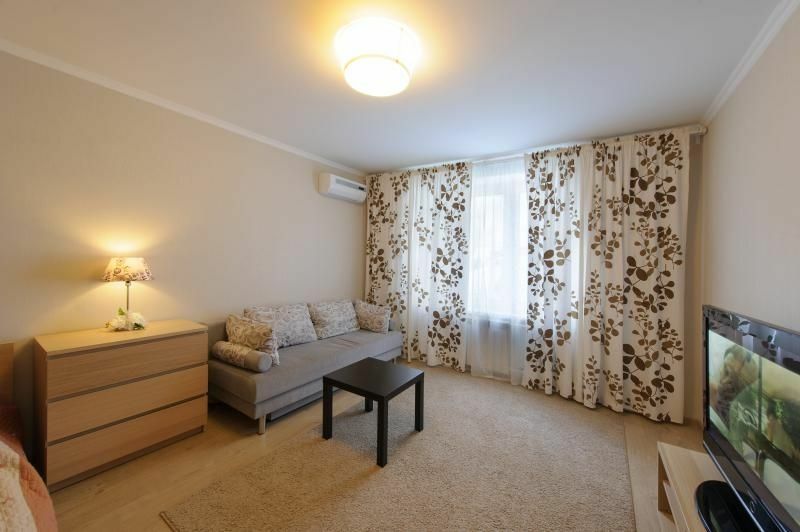 The apartment is equipped with everything needed for a comfortable stay . A full set of bed linen and towels . The price includes one set of linen. Additional set costs 200 rubles for the entire stay . Transfer:Transfer (taxi service) Meeting at the airports Sheremetevo 1,2, Domodedovo 40 EUR Seeing-off to the airports Sheremetevo 1,2, Domodedovo 40 EUR Meeting at the train station 20 EUR Seeing-off to the train station 20 EUR. Cleaning: Apartment cleaning and change of linen free of charge once a week. The cost of additional cleaning of apartment and change of bed linen - 500 rubles. , , , - . , . , , -, , , . . , , . : 1-2 1-3 . : -. : , , , , , , , wifi . : . . . 200 . . : . 500 . : 1600 . , 600 . . .